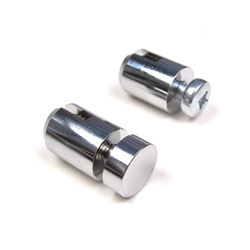 This component can be used with our cable cube displays, snap frames or other flat panels. Panel thickness depends on the screw type chosen. 5mm diameter hole needs to be drilled into the panel.